Henry Holt and Co. (BYR), 9780805079500, 224pp. No Choirboy takes readers inside America's prisons, and allows inmates sentenced to death as teenagers to speak for themselves. In their own voices—raw and uncensored—they talk about their lives in prison, and share their thoughts and feelings about how they ended up there. 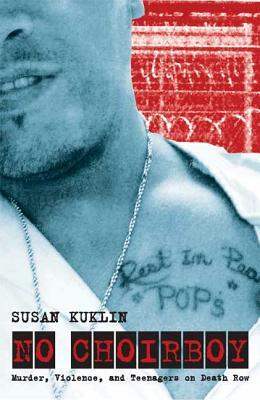 Susan Kuklin also gets inside the system, exploring capital punishment itself and the intricacies and inequities of criminal justice in the United States. No Choirboy: Murder, Violence, and Teenagers on Death Row is a 2009 Bank Street - Best Children's Book of the Year. Susan Kuklin is the author of nonfiction books for young adults and children, including No Choirboy: Murder, Violence, and Teenagers on Death Row. She is also a professional photographer whose photographs have appeared in Time, Newsweek, and the New York Times. She and her husband live in New York City.